The random number generator has determined that the game I should write about next is WarioWare: Twisted. It was one of the 3 portable motion controlled Game Boy games that I know about, as well as the second real installment of the WarioWare series. 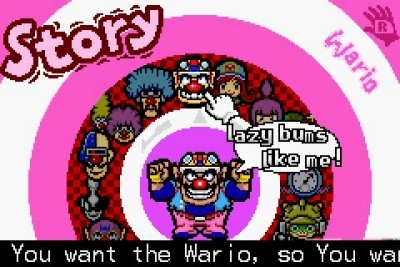 WarioWare games are great. They’re difficult to play at first, but with practice they become more enjoyable. It consists of playing various micro games in quick succession. 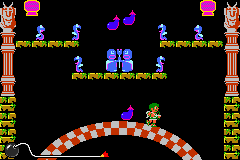 Each micro game is only a few seconds long, and the player either wins or loses based on their actions after quickly being given the instructions. Some of the instructions can be too vague to understand the first time you see them, but there are only about 200 micro games in the game, so you end up memorizing a lot of them by the time you’re finished. 200 micro games sounds like a lot, and it is, but they are divided into categories when you play through the main story, so the rotation of possible micro games should only consist of about 20 when you’re first learning them. You can play a mode at the end when any game can appear, but that’s after the main story. 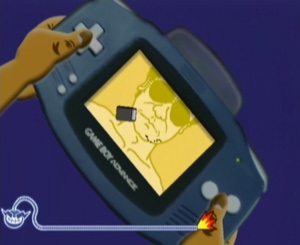 Aside from the first one, WarioWare games have always had a gimmick related to the controls. 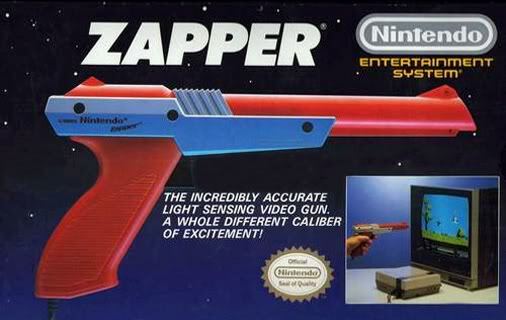 This time, the gimmick was motion controls. At the time, the Wii didn’t exist yet, so motion controlled games felt new and exciting. Despite how common they are now, this game is one of the best motion controlled games I ever played. Take a look at this cartridge! I don’t know how it works but it’s amazing! 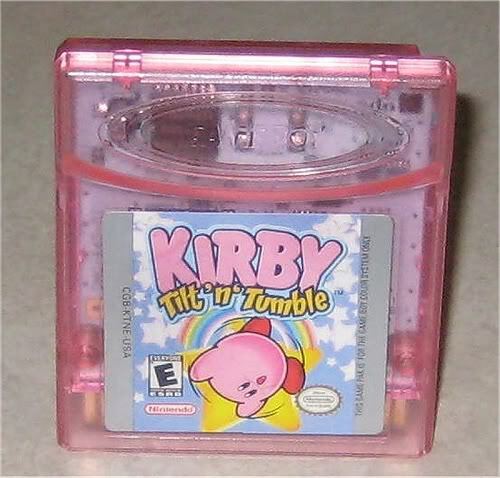 The other motion controlled Game Boy games I know about are Kirby Tilt-N-Tumble and Yoshi: Topsy Turvy. 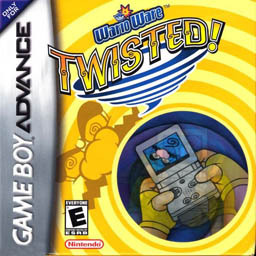 WarioWare: Twisted is the first one I played, and the best of them, but I eventually beat all 3. I wonder why so many of these titles use the letter T so prominently. It might just be a weird coincidence. 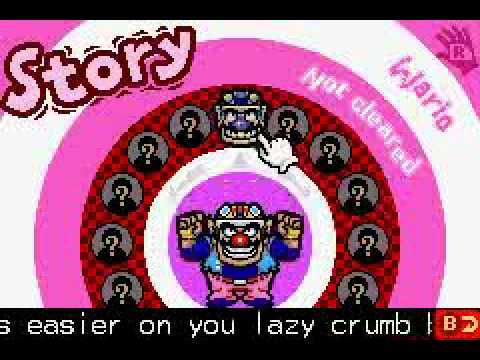 The story starts with Wario accidentally breaking his Game Boy Advance. He takes it to his friend Dr. Crygor and tells him to fix it. Instead, Crygor modifies it to have motion controls. Wario sees the potential of it and starts developing games for the new system. The whole game uses tilt controls and occasionally the A and B buttons. This also applies to the menu. You will never use the directional pad for anything. I’m a big fan of WarioWare. My friend Jonah introduced the series to me, but I only really got into formally completing the games myself once I received a download for the first WarioWare game through the 3DS Ambassador program. My local Target store dropped the price of the 3DS from $250 to $180 a day early, so I bought it for $180 the day they dropped the price but still got the Ambassador games. I always strive for 100% completion in WarioWare games. In order to do that, there’s a certain process I undertake. First, I try out the first category of micro games. If I make it to the boss and win, I unlock the next category of micro games, but I don’t move on to playing them yet. There’s a mode in the better 4 WarioWare games that lets you play a particular micro game over and over until you lose 4 times. 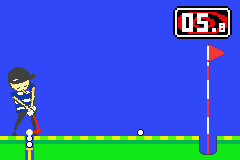 Just like in the regular mode, the micro games get faster and sometimes trickier the further you progress. If you can reach the high score goal for beating a micro game a certain amount of times in one go, the game acknowledges this achievement with a flower icon (I think) on that particular micro game in the micro game selection menu. I work to get the achievement for every single available micro game, and I stop once I’ve reached all the high scores. If there are micro games you can’t access in challenge mode, it means that you’ve never encountered them before in regular mode. In those cases, I would go into regular mode with the express point of finding the locked micro games. 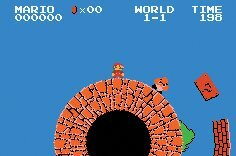 Having practiced the micro games unlocked so far, I’d be able to survive long past the first time encountering the boss micro game, and as I progressed further, the faster micro games went and thus the more likely I was to encounter the locked micro games quickly. 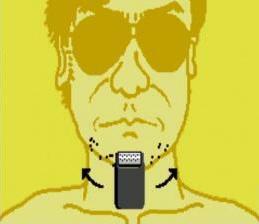 WarioWare is definitely a situation where practice makes perfect. Once I unlock all the micro games and complete their challenges, there are still neat things to collect. 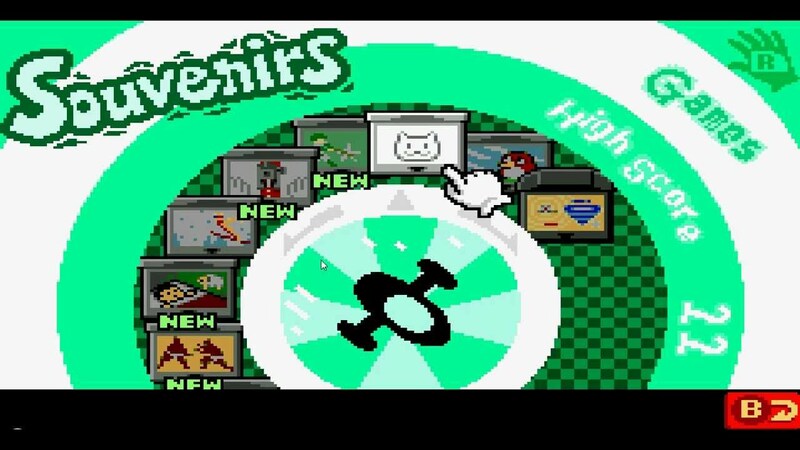 WarioWare: Twisted takes advantage of its unique controls by adding in neat virtual toys that they call “souvenirs”. I think it’s great that ideas like these see the light of day because they are bundled with a product that is actually worth buying. 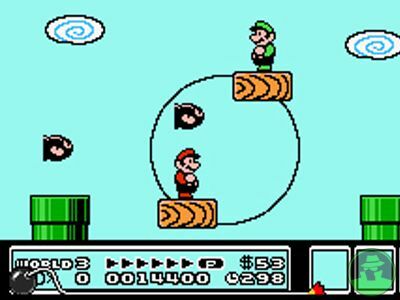 Example: When you rotate the game system, the globe rotates too. 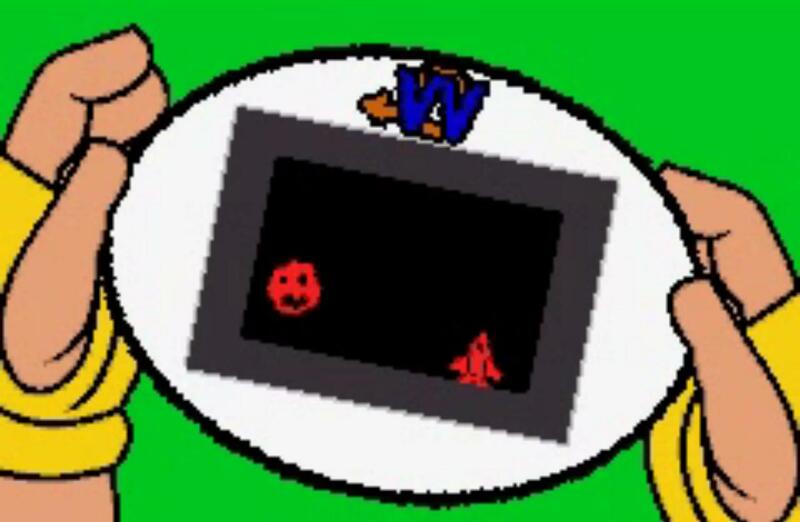 My favorite micro games in WarioWare are generally the ones developed by the character 9-Volt. He’s a Nintendo Fan who (by an extension of logic) lives on the same planet as Mario, Wario and Donkey Kong. His games remix old Nintendo games with changes either in controls or context. This time he added Motion Controls to classic Nintendo titles. 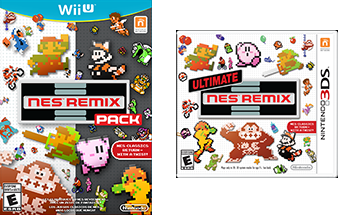 I wouldn’t be surprised if he grew up to develop NES Remix. 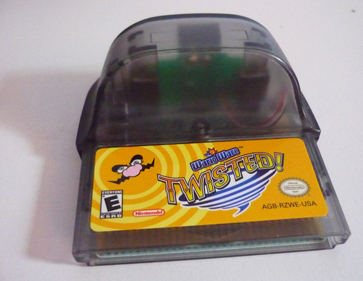 WarioWare: Twisted was never localized in Europe. Some say it was never sold there because the mechanism inside the cartridge used mercury and mercury is one of the poisonous substances blocked from being sold in the European Union, but this is probably not why. 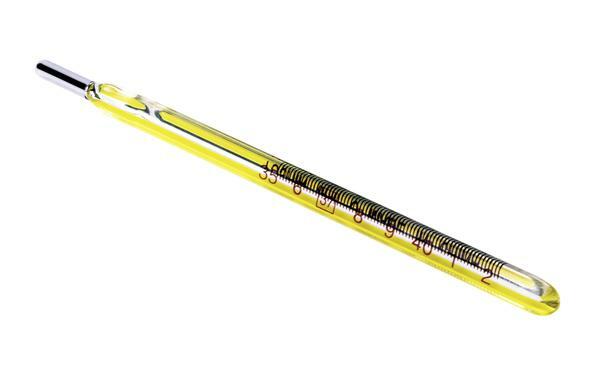 A mercury thermometer. Not all thermometers contain mercury. The main reason I don’t believe that the mercury rumor is true is that mercury is poisonous no matter what country you’re in. I am pretty sure that people wouldn’t allow a poisonous substance to be used in a toy or video game sold in America, so the only other theory I’ve read that makes sense to me has something to do with the long bureaucratic process for approving games to be sold in Europe. 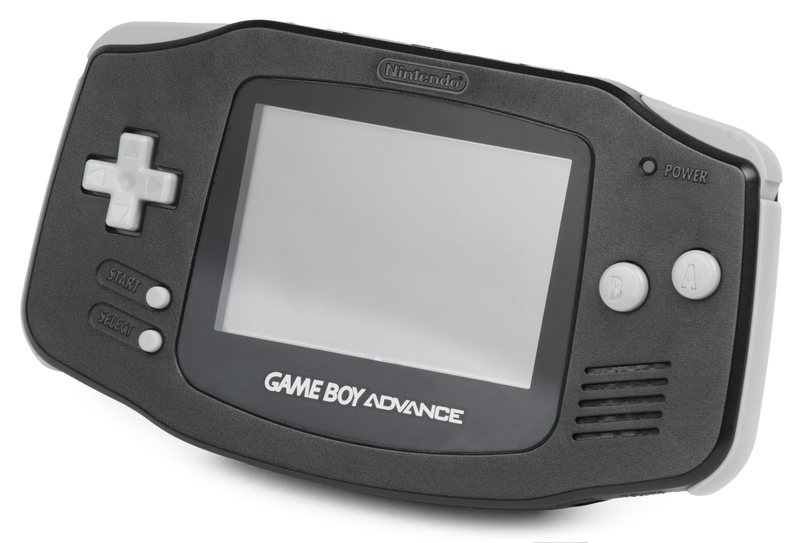 The idea is that either the process for getting the game’s approval took too long or it was predicted that it would take too long and (either way) was abandoned by Nintendo of Europe since their focus shifted from marketing Game Boy Advance to the Nintendo DS. A similar thing happened with Earthbound Beginnings between its release in Japan and its lack of localization anywhere else. Earthbound Beginnings eventually did get released worldwide on Virtual Console, but it took a long time and a lot of fan outcry to make it happen. For anyone wanting to play this game in Europe, I’d recommend just buying an American copy, since there was no region lock on the Game Boy Advance so it should work with a European console. Europe did get some of these WarioWare: Twisted micro games via the inclusion of a few of them in a category within the WarioWare game for Wii, WarioWare: Smooth Moves. Both games had motion controls, so the category’s inclusion was an elegant throwback to “retro” motion controlled micro games. Theoretically, Nintendo might be able release the entirety of WarioWare: Twisted for the Wii U Virtual Console, but honestly, I don’t see it happening. WarioWare: Twisted is a great game, but it’s relatively obscure. If you want to play it, definitely order a copy online. I recommend it! The random number generator has chosen for me to write about the last game I finished before starting this website. I have beaten 7 new games since then, and as I complete each game, they are put into the mix of possibilities that the random number generator can choose for me to write about. 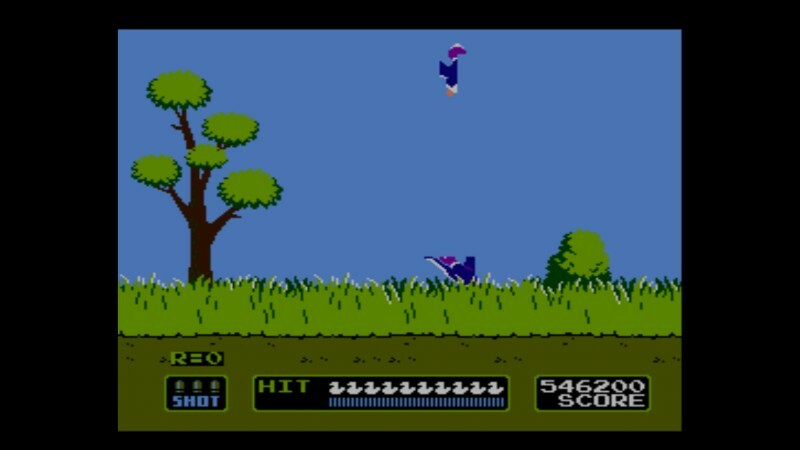 The game I finished right before I purchased Zelgerath.com was Duck Hunt! 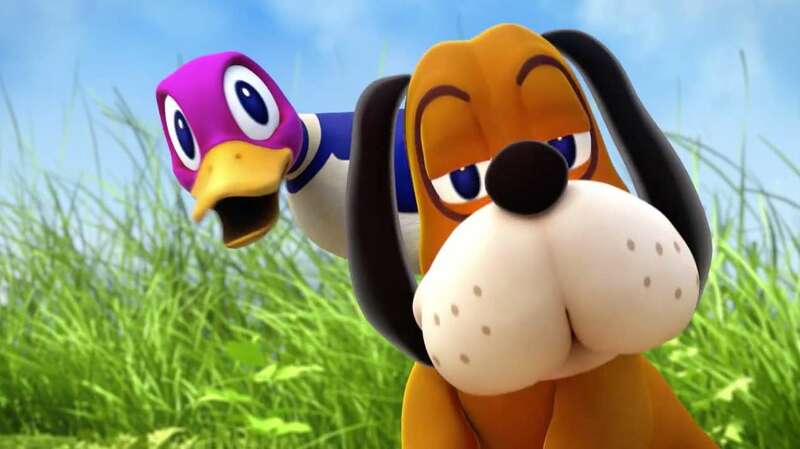 Now, you may be thinking, “How can someone beat Duck Hunt? Isn’t it an arcade game that goes on forever?”. Truly, my explanation will make everything clear. So, recently Nintendo added Duck Hunt to the Wii U Virtual Console. 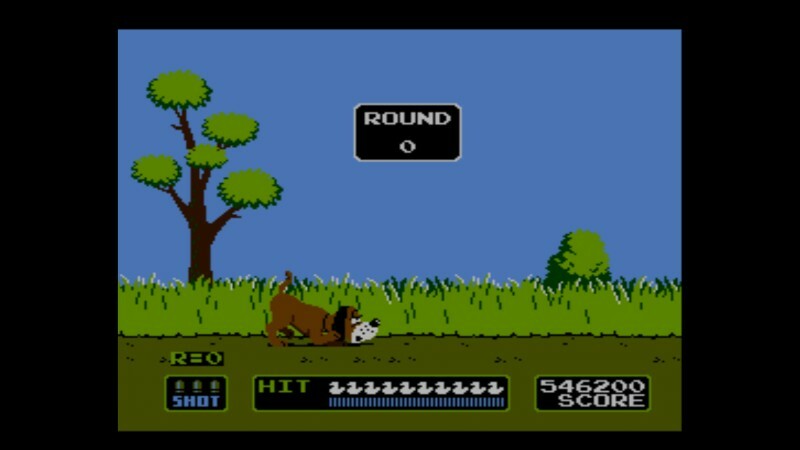 Originally, Duck Hunt required a gun controller for the Nintendo Entertainment System (NES), but for the Wii U Virtual Console version you just need a standard Wii Remote. I’m pretty sure that this is the only Virtual Console game so far to use a Wiimote. 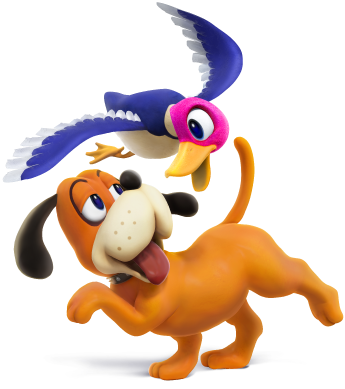 Furthermore, I think that they decided to release Duck Hunt now because the Duck Hunt trio are characters in the new Super Smash Bros.
They’re a trio because the guy with the gun helps them. Now, how I define beating games can be pretty inconsistent. In this case, what I really wanted to do was make it to the kill screen. 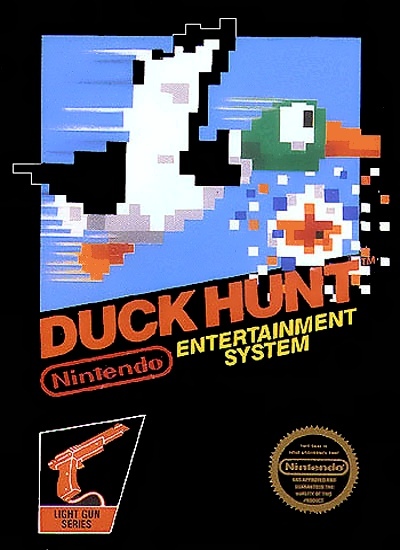 At first, I bought the game just because I wanted to try it out, but I kept successfully shooting all 10 ducks in a row. At some point before reaching a “game over” I made a restore point and did some research on how to get to the kill screen that I heard so much about. What one has to do is reach Round 100, which is actually called Round 0. This involved shooting approximately 1000 ducks. At first, I made a restore point every round and went back to it if I got a Game Over, but as the game ramped up in difficulty, I ended up making restore points after every time I shot a duck. What motivated me the most was the notion of posting a screenshot of the kill screen onto MiiVerse. 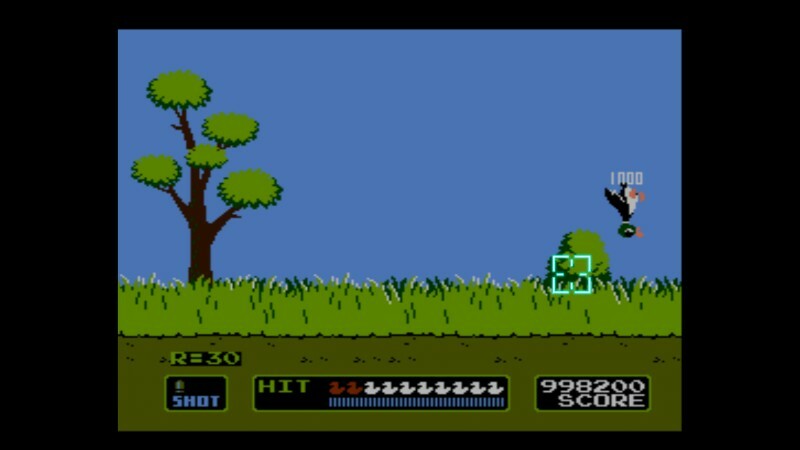 My worry was that since the duck appears in a different location every frame, a single frame of the kill screen wouldn’t look that weird by itself. 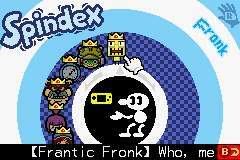 Luckily, I found this frame and posted it to MiiVerse. Even though it sounds like it was repetitive, I had a lot of fun, and I feel like this was a big win. With restore points, it only took me a few hours, and I didn’t do it all at once. This is the highest score that I could get a frame of. The thing resets every 1,000,000 points. 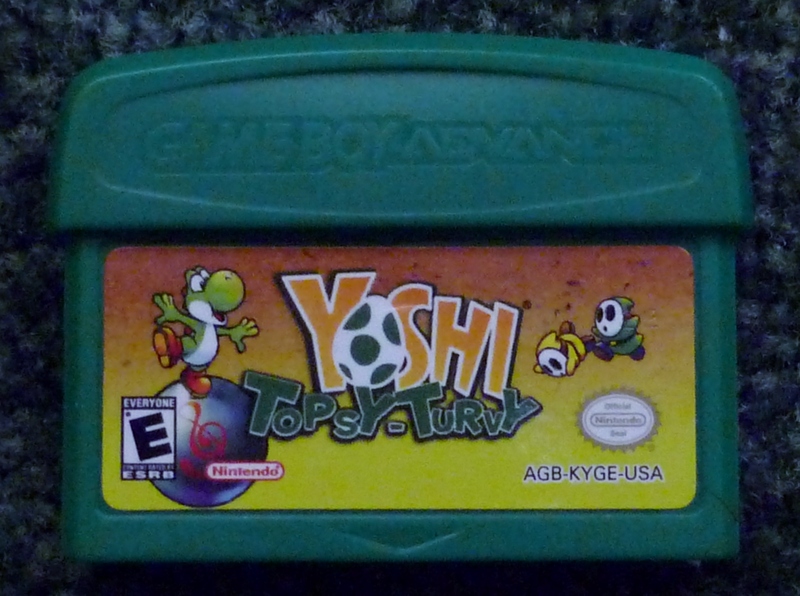 Now that we know that Nintendo is willing to add old motion control games to the Virtual Console, I really want them to add an old Yoshi game called Yoshi’s Safari. I’ve never played it, and it would be expensive to find a legitimate version of the game unless they added it to the Virtual Console seeing as I would need the cartridge itself as well as the Super Scope controller.